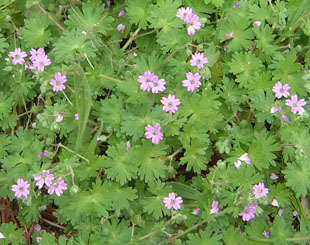 forming herb, growing up to 40cm. 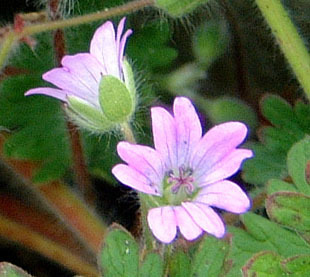 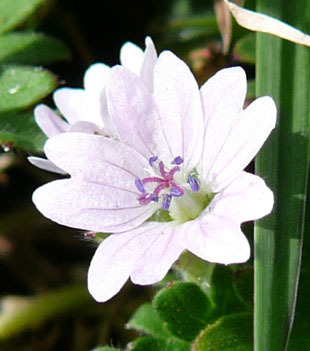 Flowers are light pink to purple and up to 1cm across. 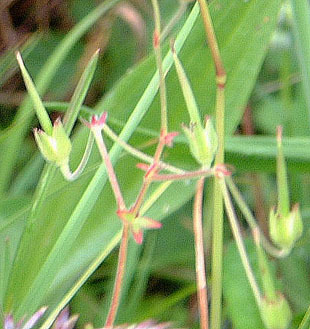 size as the pointed sepals. 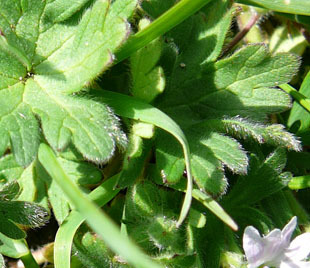 Leaves are roundish and deeply cut into 7-9 lobes. 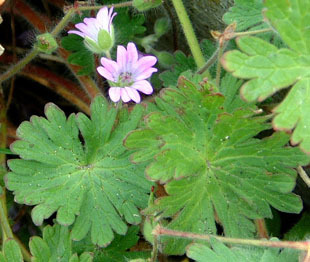 Leaves and flower buds are covered in white hairs.